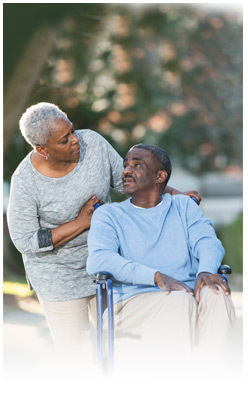 We provide medical care and support services to help you stay safely at home. Medicare gives us a four-star rating for quality of care and patient satisfaction. Do you have a home care patient you’d like to refer? Seeking home health care, senior care, dementia care, nursing, or therapy at home? We help you recover, rehabilitate, and stay in the place you love – your home! Nothing is better than the comfort of home. Diamond Home Care provides comforting care in the home – so you or a loved one can recuperate, deal with a medical condition, or age safely and securely at home. Since 2004, we have provided skilled home care including nursing, therapy (physical, occupational, speech) and private duty home care (personal care, companionship, and support). Each of our team members is a licensed professional. They are fully insured, bonded, and their backgrounds are thoroughly checked. We have offices in Plymouth and Bay City, Michigan, and we serve people and families across the state – including Ann Arbor, Ypsilanti, Brighton, Northville, Novi, Farmington Hills, Livonia, Saginaw, Midland, and surrounding areas. Call us toll free at 866-414-3447 to talk with us about your needs. while staying safely at home. Are you an RN, CNA, PT, PTA, OTR, COTA, SLP, or HHA?